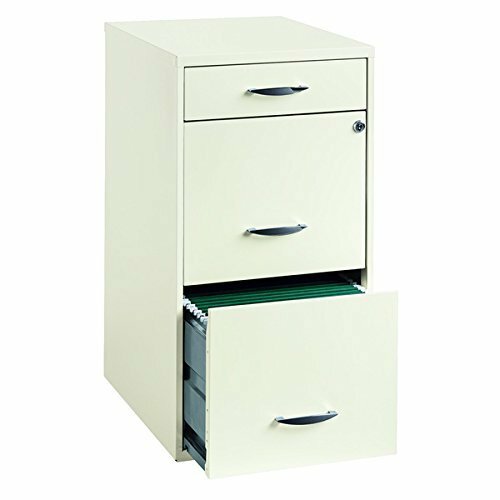 Keep important documents handy with this three-drawer file cabinet, which makes a smart addition to your home office. Place this cabinet on a shelf in your bedroom closet to store medical records, financial statements and other documents you use regularly. Two drawers are large enough for hanging file folders, so there's no need to crease or fold your documents. Crafted from high-quality steel with a high-gloss finish, this cabinet is designed to provide years of use in your home or office. If you have any questions about this product by Office Designs, contact us by completing and submitting the form below. If you are looking for a specif part number, please include it with your message.